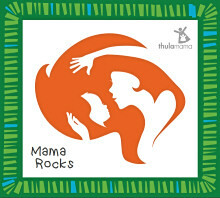 Thula Mama new album ‘Mama Rocks' out now!!! 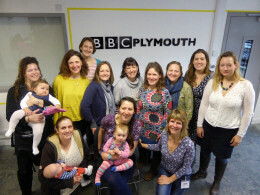 Helen’s Dartington group sings live at BBC Radio Devon! The long-awaited fourth Thula Mama album Mama Rocks is now released. Click here to listen to samples and buy this uplifting CD. 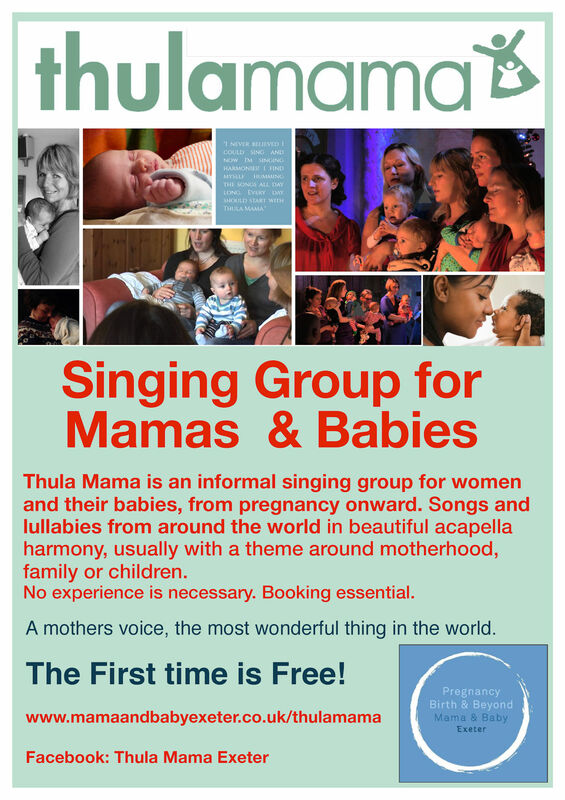 Helen’s Dartington Thula Mama group were invited to chat & sing live on Radio Devon on Sat 19th March. Listen to them below! 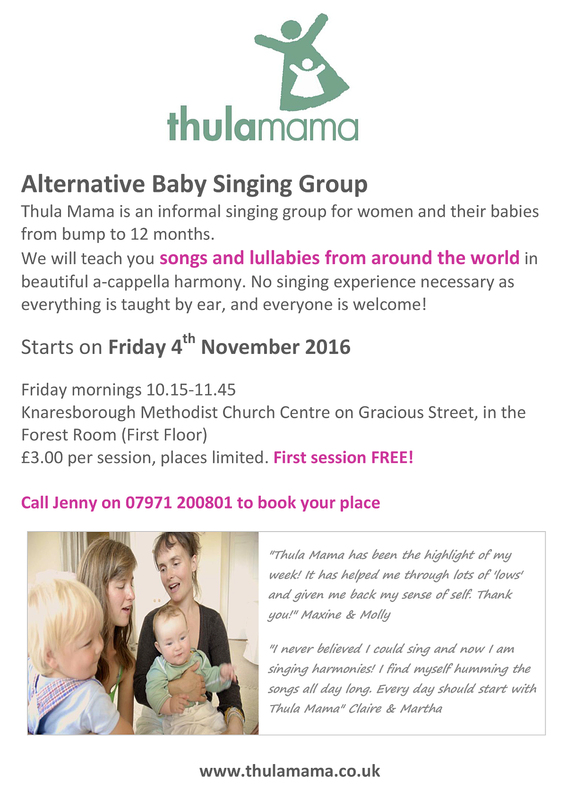 Helen’s recent Thula Mama group have been so amazing she decided they should be the support for her choir Glorious Chorus at their Christmas Extravaganza on 20th December 2015. You can watch them here singing some of their favourite songs. Helen has been running her group since 2002 and inspired her to set up groups all around the UK (and now in Amsterdam!). Click the pic to watch the video! 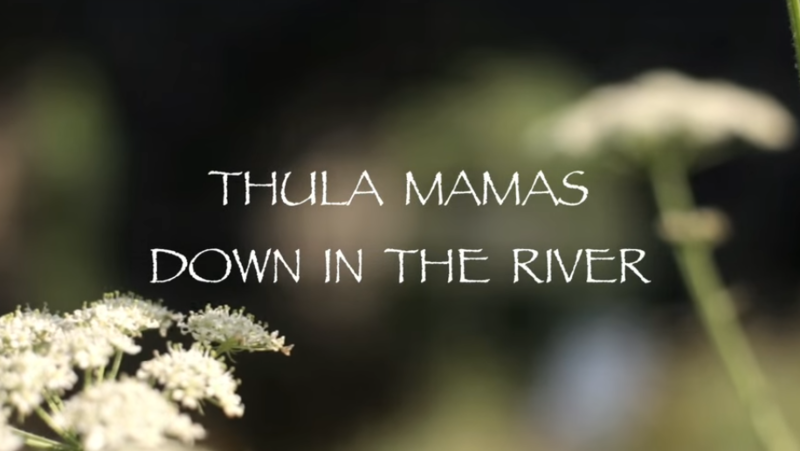 Thula Mama albums now available on iTunes! Enjoy these beautiful lullabies and songs from around the world – instantly! Of-course, you don't get the beautiful eco-friendly products available on our Shop Page, but if it's 2am and baby's still not sleeping....! Join Ruth at her 2 Exeter groups! 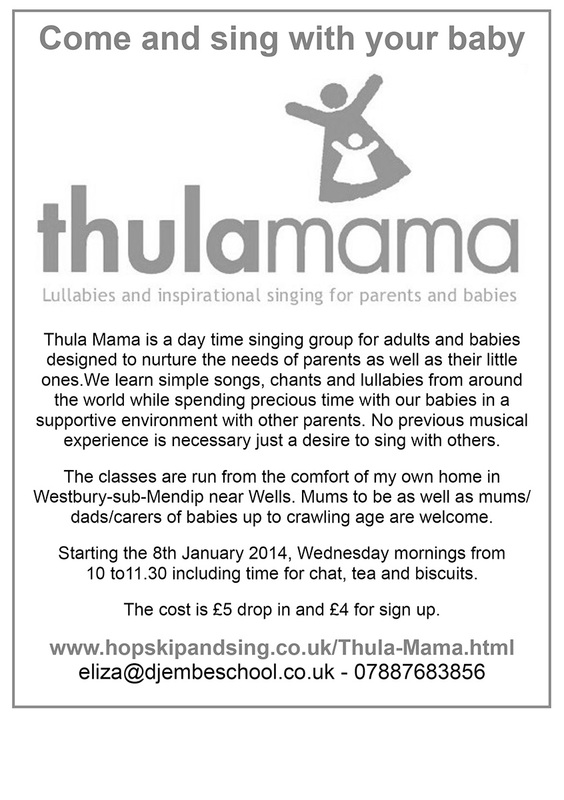 Ruth Janssen runs two Thula Mama singing groups in Exeter - see flyer on left for details. Come and join her! See poster to the left for details. 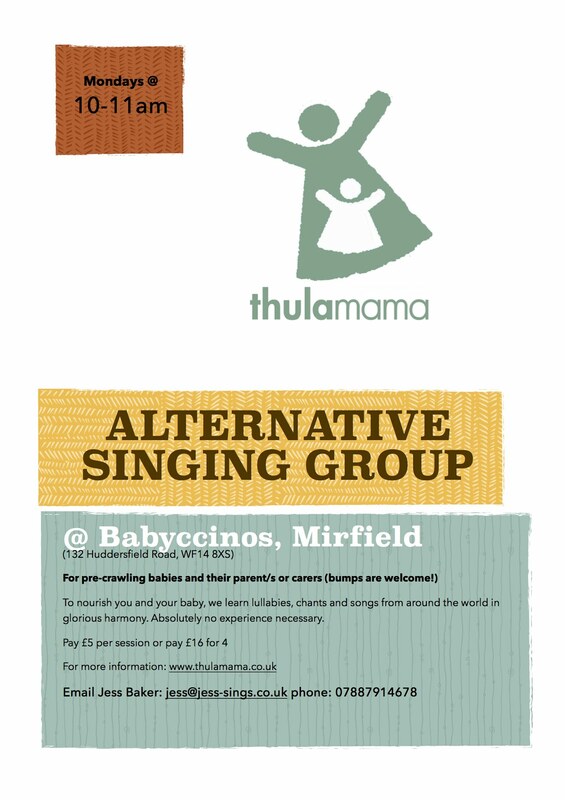 Come and sing with your babies with Nicki at her home on Weds mornings. Tel 07807229495 - all info, see flyer on left. Holly starts new group in Walthamstow! Join Holly at her new group in NE London on Wednesday mornings. Tel 07709438777 or E: hollycdavies@email.com. See flyer on left for further details. 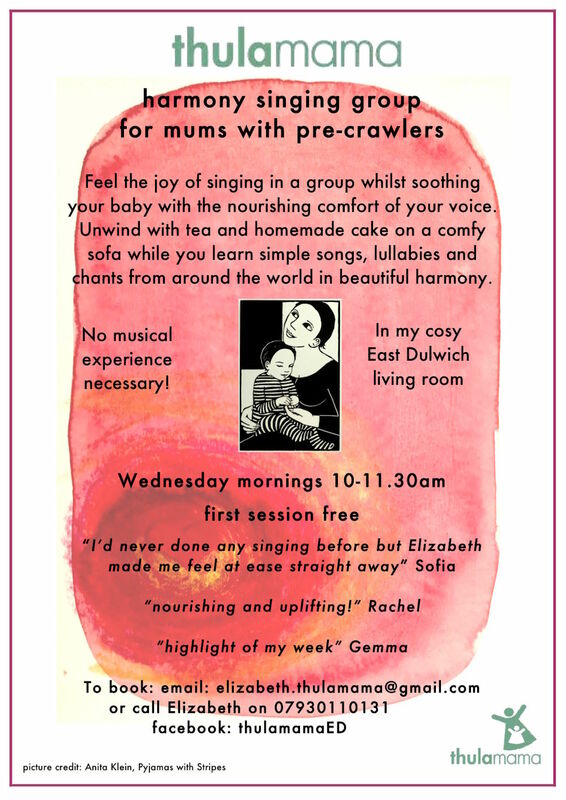 Elizabeth Cohen's new Thula Mama group in East Dulwich now meets on Weds mornings. Call Elizabeth on 07930 110131 for info and see flyer on the left. 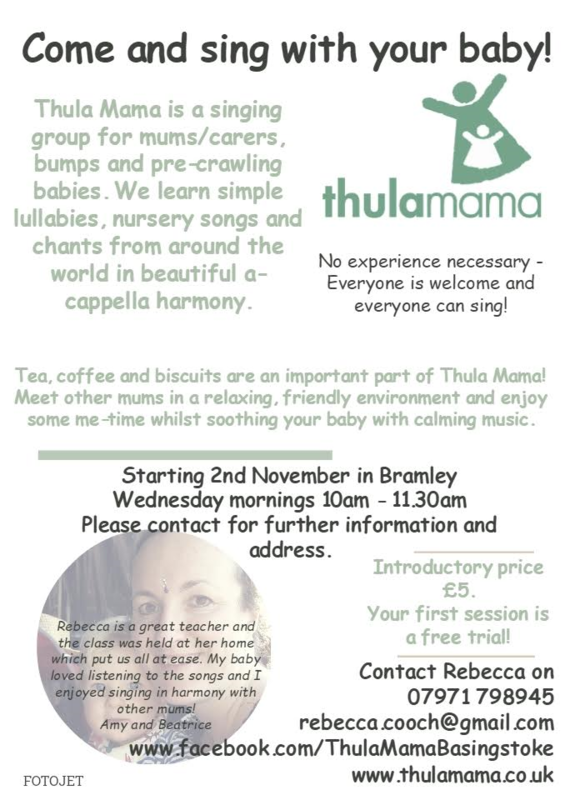 Rebecca Cooch is running a new group in Bramley, Basingstoke, on Weds mornings from 2nd November. See flier on left for details or tel Rebecca on 07971 798945. 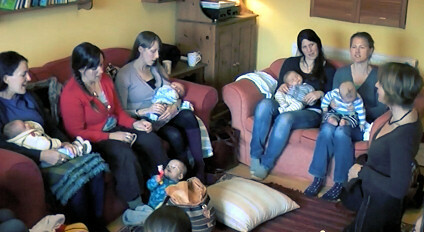 Jenny Cook starts new group in Knaresborough, North Yorks, on Friday mornings. Contact Jenny on 07971 200801 (see flier to the left for details). 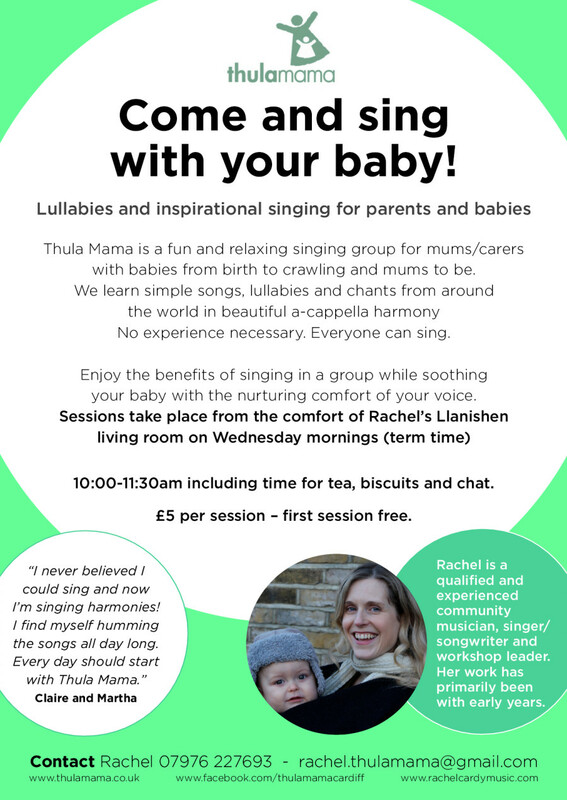 Join Rachel and her Thula Mama group in Llanishen on Wednesday mornings. Call Rachel on 07976 227693 for all info or see flier on the left. 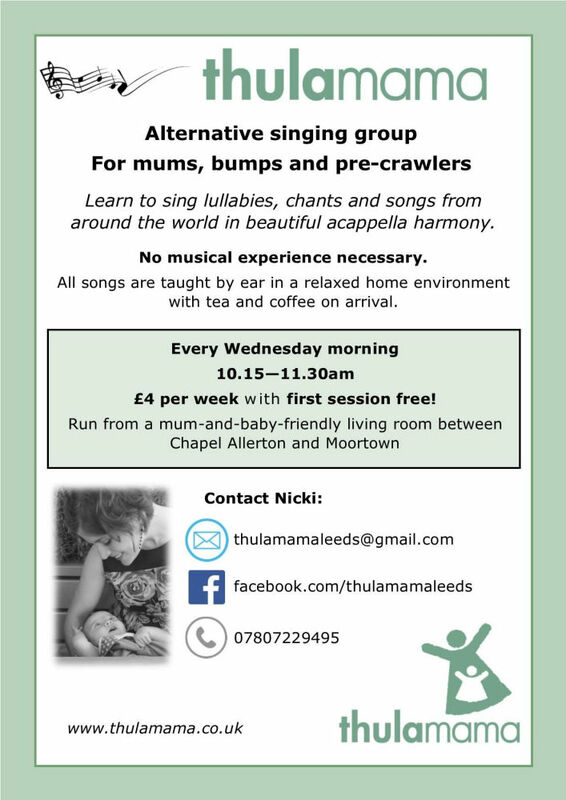 Victoria's Thula Mama group has moved from Stockport to Chapel-en-le-Frith - see flyer on the left for details. Contact Victoria on on 07422 964627. Jess’s group meets on Monday mornings - contact her on 07887 914678 or see flyer to the left. Eliza Wiley starts Wells Group in Somerset! 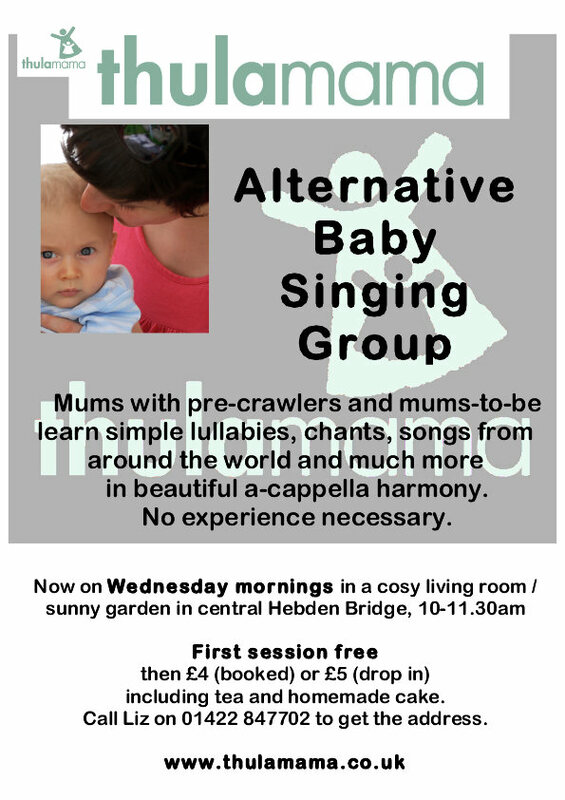 Come and join the new Wells group on Wednesday mornings (see flier below). Contact Eliza on 07887 683856. Liz Powers' Hebden Bridge group meets every Wednesday morning. See flier. Contact Liz on 07596 900305 for more details. 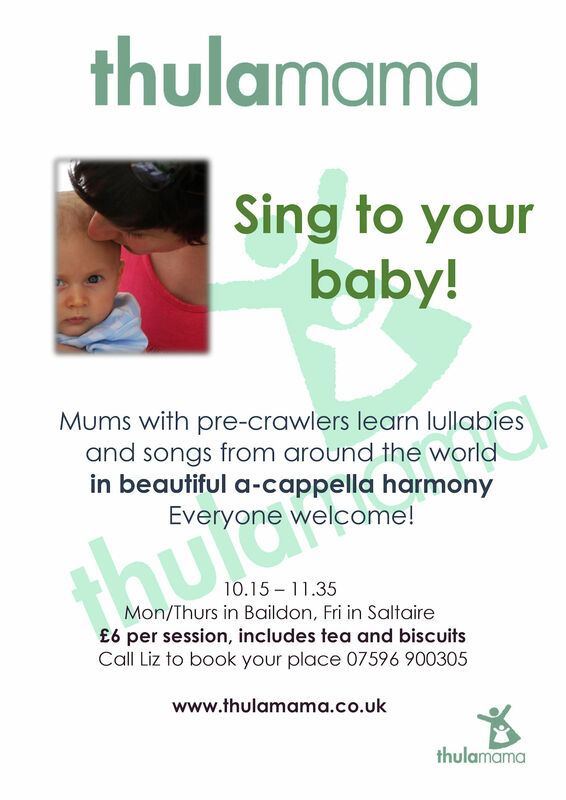 Liz Powers also runs Thula Mama groups in Baildon & Saltaire. Call Liz for all details on 07596 900305. 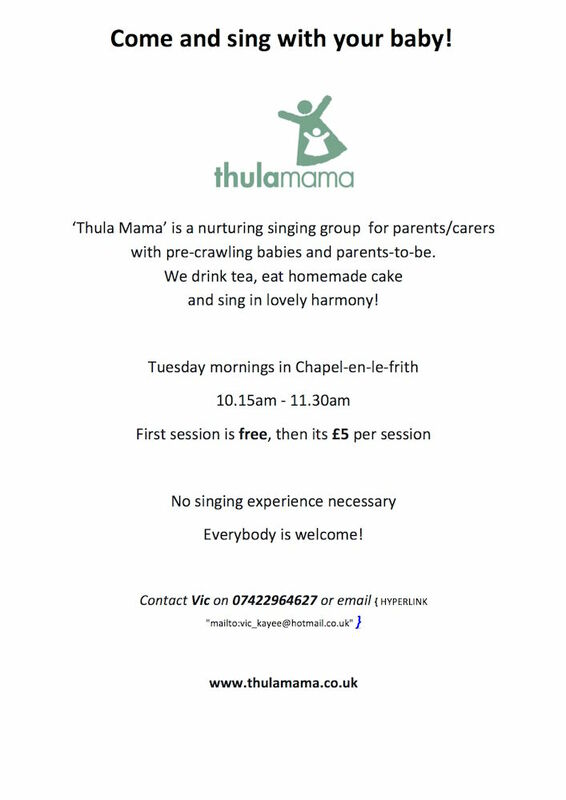 Holly’s Hackney Thula Mama group is now meeting at 1.30pm on Mondays at The Clarence Tavern, 102 Stoke Newington Church Street, N16 0LA. Contact Holly on 07709 438 777 or hollycdavies@email.com. 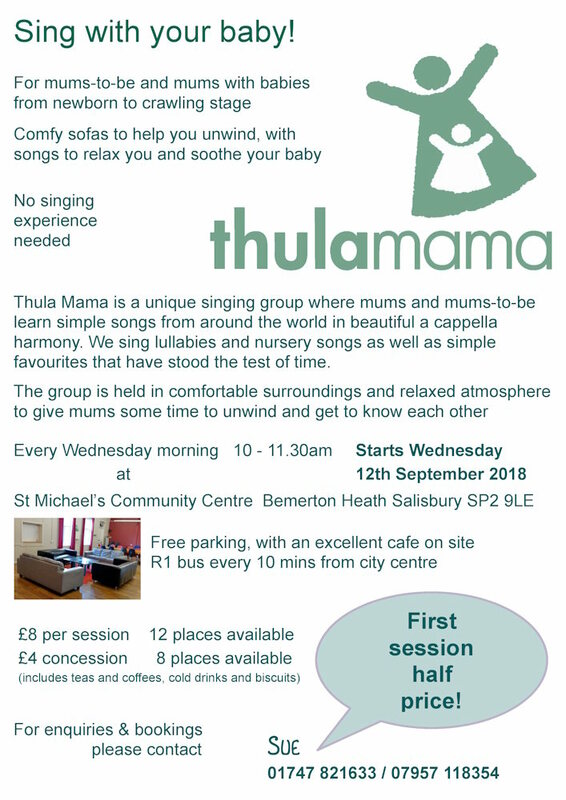 "Thula Mama has been the highlight of my week! It has helped me through lots of 'lows' and given me back my sense of self. Thank-you!"